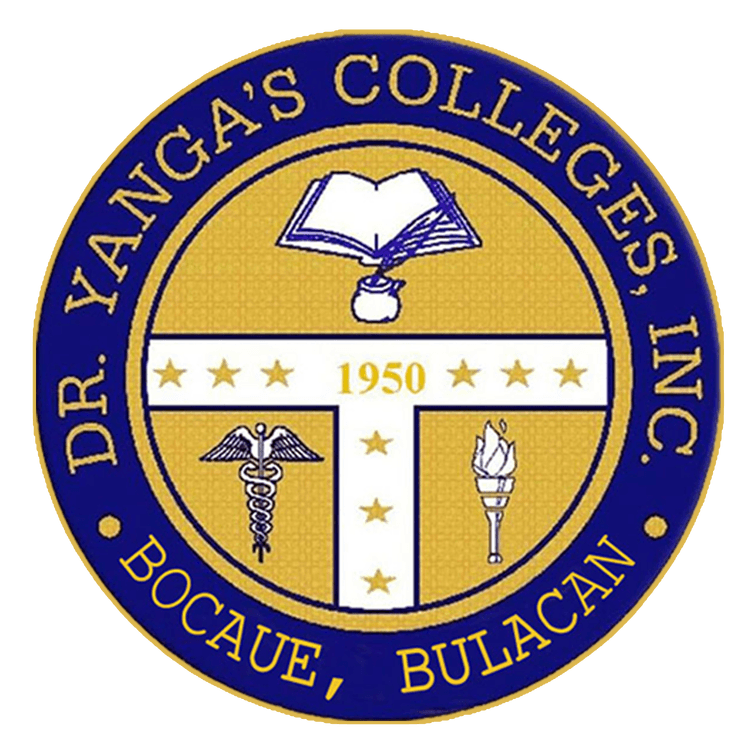 The school seal symbolizes the embodiment of the academic commitments and all the servixes of Dr. Yanga's Colleges, Inc. Founded in 1950 as a private non-sectarian secondary school named Francisco Balagtas Academy. The outer circle holds the name of the school with blue as its background. The inner circle bears against a gold background, images that illustrate the institution's scholastic dedication to its community. The open book and quill on top represent the College of Arts and Sciences with its goal to propagate knowledge, determination, and academic accountability. Embedded on a white background, the nine stars that surrounds its founding year represent the first nine offerings of the institution namely Education, Midwifery, Secretarial, Veterinary, Medicine, Agriculture, Nursing, Commerce, Seaman Training Course, and Vocational Course. On the lower left part is the caduceus signifying the allied health care courses that aim to educate students with relevant information about the practice ogf health and its underlying principles and ethics. The torch on the lower right part reflects the unending aspiration towards the realization of the school's mission and vision to mold our students to bring positive impact in the quality of life of other people. The College colors are blue, gold, and white. Blue represents inspiration, sincerity, and spirituality. Gold denotes wisdom, excellence, and success. White stands for purity, precision, and truthfulness.